GRAFENWOEHR, Germany – Welcoming spring with bonfires and dances while banishing demons and evil spirits – this is how much of Germany celebrates witches night, or ‘Hexennacht,” April 30 every year. On this night, the old legends say witches meet the devil at the sacred mountain Brocken before riding off on broomsticks, billy goats and pitchforks. The mountain is the highest peak in the Harz mountain region, located in central Germany. 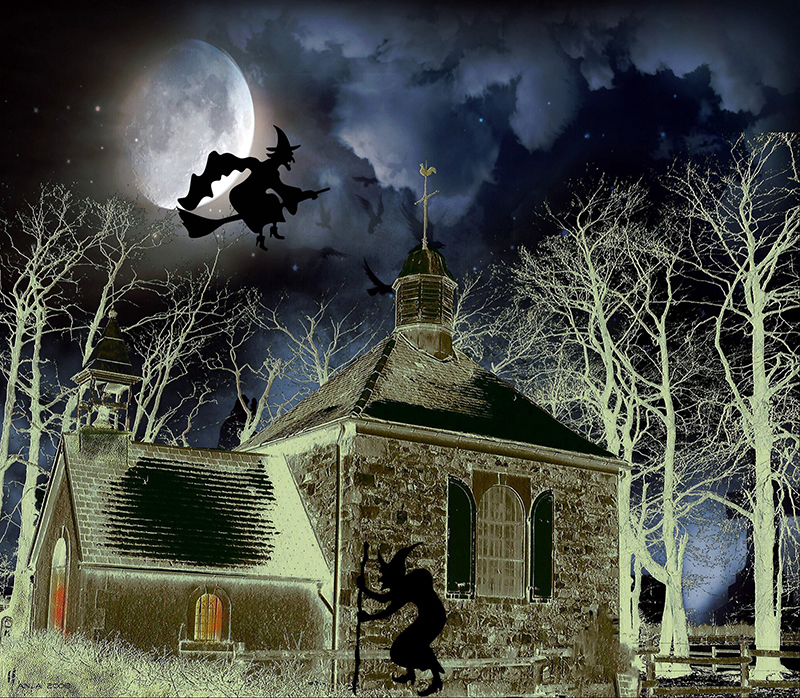 Old customs from his time resulted into hiding broomsticks, billy goats and pitchforks so witches would not get the chance to ride around. Socks were also put cross-shaped on children’s beds, and the homes were protected by pentagrams and sacred salt or herbs. An unwritten rule implies that children should not be punished with broomsticks on this particular day. Nowadays, and similar to Halloween, Hexennacht allows children and teenagers to play pranks on neighbors. Ringing door bells, throwing eggs and tomatoes or putting mustard and toothpaste under door handles are some harmless examples of these pranks. Some teenagers and young adults may get rowdy during this night of celebration. To be on the safe side, residents living outside the gates should take some precautionary measurements. It is advisable to park cars in the garage and bring personal items inside to avoid property damages. The German Polizei will actively patrol the neighborhoods Monday night and will take action if neccessary. The residential area Netzaberg will be covered by the Eschenbach Polizei. For more information, contact your local police office. A popular German tradition on this date is the “Tanz in den Mai.” The dance into May is another festive activity to welcome spring, along with the tradition of putting up a May tree. The May tree is usually a fir, stripped of its lower branches and replaced with colorful ribbons. This ceremony is traditionally held May 1 and combined with a festival serving different foods and beverages. With so many different grounds for celebration, always remember to drink responsibly.